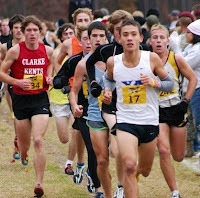 I hope all my info is right- I got it off dyestat... but I have to admit the whole Nike Nationals is new to me. Congratulations, Andrew! Good luck at Nationals!